The Monster Club (not to be confused with The Monster Squad) is a British horror anthology film based on the writings of R. Chetwynd-Hayes. It’s one of those quirky films that didn’t do very well when it was initially released but has gained a cult following throughout the years. The first I ever heard of it was about four years when I signed up for Netflix and was browsing their horror section. 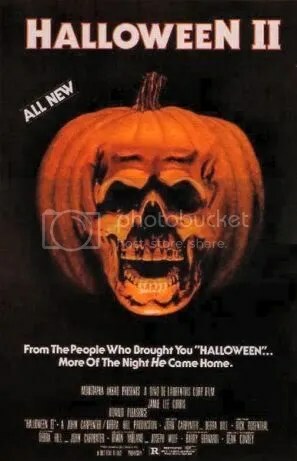 Any movie featuring horror legends Vincent Price, John Carradine and Donald Pleasance sounds like a good time to me. 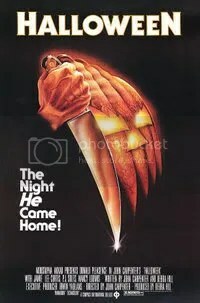 I rented this movie over three years ago from Netflix but never watched it but with the Halloween season upon us, I decided to rent it again and finally sit down with it! The movie features three short stories and the whole movie is held together by the Price/Carradine segments in which Price plays a vampire called Eramus and Carradine plays R. Chetwynd-Hayes (yeah, kinda strange). They are hanging out at “The Monster Club” together and Eramus is telling these tales to Chetwynd-Hayes. So are they saying Chetwynd-Hayes stole these stories? The movie features some pretty cool ideas about the results of monsters mating (there’s even a chart!). The first story centers on a shadmock and a young couple that are trying to swindle him. What’s a Shadmock? Well, if I’m remembering correctly a shadmock would be the result of any other hybrid monsters breeding together. They are human in appearance and simple-minded but have a very powerful whistle that basically melts you. It’s a creepy story. The next story is played a bit more for laughs and centers on a family in where I think only the dad was a vampire (well, I guess the son would be half-vampire..?). Anyway, this is Donald Pleasance’s part in the film as he plays a vampire-killing priest. The third story is the best of the bunch and most frightening and tells the tales of a movie director gone scouting for locations. He ends up in a dark and foggy village full of creepy villagers where they won’t let him leave. They are either trying to eat him themselves or wanting to keep him around so that “the elders” (some type of monsters) can arrive and have a meal themselves. In this story, a “humgoo” (a human/ghoul hybrid) makes an appearance and tries to help the director flee the village. The actual Monster Club segments are pretty fun, there’s some humor to them and a number of cheesy rock & new wave performances in the club, the best of which is the song “Stripper” by a band call Night. Really cool bluesy/R&B rock song featuring a great female vocalist Stevie Lange. Reminds me of something Tina Turner might’ve sung (and further research shows Stevie actually has done backing vocals for Turner). The performance is actually pretty funny as well as the stripper during the performance turns out to be a skeleton. The movie wraps with Carradine’s character getting inducted into the Monster Club. After all, humans are the biggest monsters of all! Then there’s another music number and that’s a wrap. Overal, a pretty funny and creepy movie that fans of B-horror should enjoy. The Thriller Video VHS box art is far superior to the DVD release. Sadly, Elvira and her large breasts are nowhere to be seen on the DVD version.